In 359 BC, Philip became king of Macedon. As a youth he had been a hostage in Thebes, where he observed the innovations of Epaminondas. Applying these lessons, Philip created a combined arms force of a maneuverable phalanx, cavalry and light troops. He re-armed his phalanx with 17-foot pikes instead of the usual 9-foot spears. 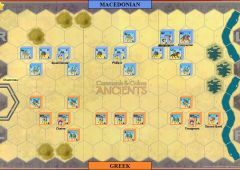 Philip aggressively expanded Macedonian control which brought him into conflict with the Athenians. In 352, Philip turned southwest into Thessaly. 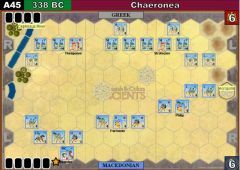 The Greek Phocian army under Onomarchus arrived at Crocus Plain with 20,000 foot and 500 horse to stop him. Onomarchus deployed with his back to the Pagasaean Gulf. Philip with the same number of foot and 3,000 horse, attacked. 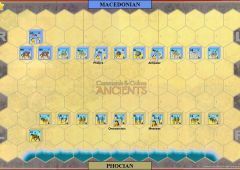 Onomarchus' army fought with surprising resilience holding off the Macedonian phalanx until flanked by Philip's cavalry. The Phocian lines began to withdraw and then broke and fled to the sea where many tried to swim out to the Athenian fleet that had just arrived. 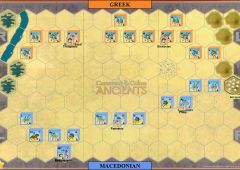 Onomarchus died fighting, and Macedon now dominated all of Thessaly. Philip had demonstrated the superiority of a combined arms force against a traditional Greek hoplite army. 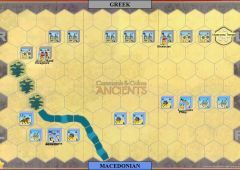 The irresistible Macedonian expansion into Greece would continue. The Pagasaean Gulf is impassable.